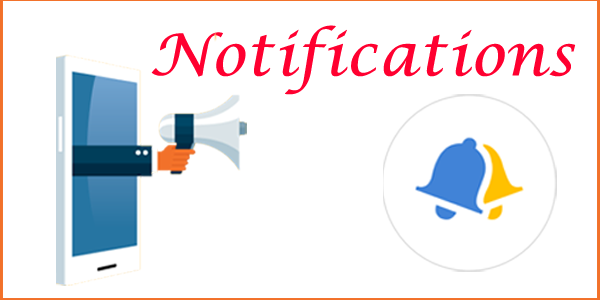 Railway RRC NWR Recruitment 2018 Notification is out for the engagement of Apprentices under the Apprentices Act 1961 over NWR with Notice No. 04/2018 (NWR/AA). The RRC Jaipur NWR Railway Apprentice Online Form will be available from 30th Nov to 30th Dec 2018 @ www.nwr.indianrailways.gov.in. Check the नॉर्थ वेस्टर्न रेलवे Apprentice Eligibility Criteria & start applying for NWR Railway Recruitment 2018. Scroll down the article to get the full details of North Western Railway Apprentice Recruitment 2018 Notification. Here is a fabulous opportunity for the Railway Job hunters i.e, North Western Railway Recruitment 2018 Notification. Recently, North Western Railway, Railway Recruitment Cell, Jaipur has issued RRC Jaipur Recruitment 2018 Notification for the recruitment of eligible applicants for Apprentice Posts. With the release of official NWR Apprentice Recruitment 2018 notification, North Western Railway has invited applications for 2090 post of Trade Apprentices. The Online Registration for NWR Railway Recruitment 2018 has already started. उत्तर पश्चिमी रेलवे भर्ती 2018-19: Candidates whose age is not more than as specified in the official NWR Apprentice notification and having 10th Pass/ ITI from the Board/ Institute recognized by the Government of India are eligible to apply for North Western Railway Vacancy 2018. All the Willing & Eligible candidates can apply for North Western Railway RRC Jaipur Recruitment 2018 through Online mode on before the last date i.e, 30.12.2018. Other info of RRC Jaipur Apprentice Recruitment 2018 Notification like Age Limit, No. of Vacancies, Qualification, Selection Process, Pay Scale, North Western Railway Apprentice Recruitment 2018 Application Process, etc are provided below. Total No. of Vacancies: 2090 Posts. The zone wise NWR Apprentice Vacancy 2018 details are as follows. Candidates who wish to apply for NWR Trade Apprentice Recruitment 2018 have to fulfill the below-mentioned eligibility conditions. Also, get Latest Rojghar Samachar here. The age limit of the applicants should be in between 15-24 years to apply for North Western Railway Vacancy 2018. Upper age relaxation is applicable to the reserved candidates as per the official North Western Railway (RRC Jaipur) Apprentice Notification 2018 Pdf. Passed 10th Standard Examination and National Trade certificate in Fitter/Carpenter/Weder (G&E)/MMTM/Painter (General)/ Machinist/ DSL Mechanic/Diesel Electric Mechanic Trades from SCVT/NCVT recognized Institution (OR) 10th Standard Examination passed and ITI in Electrician/Wireman/Electronic Mechanic/Welder/Plumber/Pipe Fitter/Carpenter/ Mason/Blacksmith/Computer Network Technician/Deeni in Hindi Trades from recognized any Technical Institution. Other info about North Western Railway Apprentice Recruitment 2018 Notification like Application Fees, Selection Criteria, Pay Scale, Important Dates, NWR Notification & Apply Online Links, etc. Applicants of NWR Apprentice Recruitment 2018 have to pay the application fee as per the category. The North Western Railway Recruitment 2018 Application fee can be paid through online mode only. The Selection of the candidates for North Western Railway (NWR) Recruitment 2018 will be on the basis of the merit list prepared by the candidates on the basis of the percentage of marks obtained in the 10th Class + ITI. Selected candidates in www.rrcjaipur.in Recruitment 2018 will receive a good pay scale as per the norms of the organization. NWR Jaipur Trade Apprentice Recruitment 2018 Online applications are invited from the interested & eligible candidates for the engagement of Act Apprentices for imparting training under the Apprentice Act 1961 in the designated trades in the Workshops/ Units of NWR. Applications are accepted through online mode only. No other mode of applications is entertained by the officials. The closing Date to Apply for North Western Railway Jobs 2018 is 30th December 2018. Here we have provided the step by step process to fill North Western Railway Apprentice Recruitment 2018 Application Form for your guidance purpose. You will be redirected to the homepage of the official portal. Find the relevant tab “North Western Railway Recruitment 2018 for Trade Apprentices” on the homepage. Read out the details mentioned in the official North Western Railway RRC Jaipur Recruitment 2018 Notification Pdf. Check the Eligibility for NWR Apprentice Jobs. If eligible, then click on “North Western Railway RRC Recruitment 2019-20 Apply Online” link. Enter all the details in the RRC NWR Jaipur Apprentice Online Form 2018. Make the fee payment & cross check all the details before submitting the North Western Railway Apprentice Recruitment Online form 2018. At last, keep the hard copy of Railway NWR Jaipur Trade Apprentice Online Form 2018 for future reference. The full details provided on this page about NWR Apprentice Recruitment 2018 Notification is for the reference purpose only. Refer to the official North Western Railway RRC Jaipur Recruitment 2018 Notification Pdf link attached below for more details. However, stay tuned to our page rrbrecruitment.co.in to get further more job opportunities. 405 questions and 450 marks. My shelf Jitendra Paswan completed B.A. from Bihar University Muzaffarpur Bihar.I want to RRB JOB.